'Travel Tastes' mini Series finished! 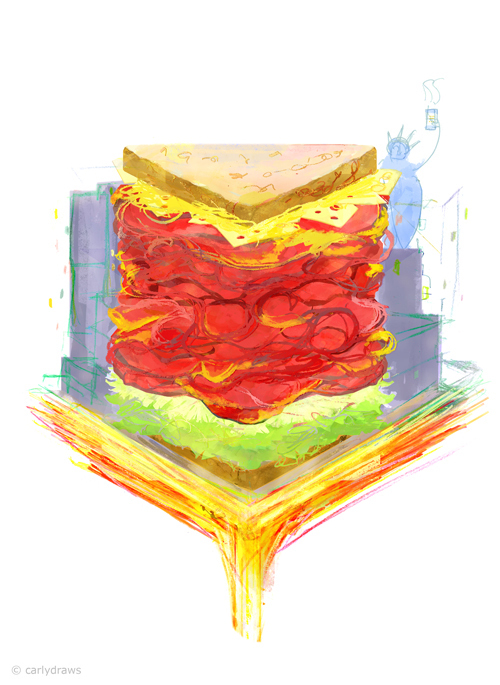 Number 3: New York Deli: Pastrami on Rye with lettuce, Swiss, mustard, traffic, coffee and Lady Liberty. 2:Yorkshire Fish and Chips and 1:Hong Kong Dim Sum are the other entries. See the whole series here. If you would like a print, they are available in my shop.